Life *was* supposed to be easier with Iris. 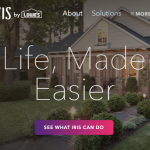 In the first part of this series we chronicled the instability, the frustration, and inability to achieve any sort of stability with the second generation of Lowe’s Iris. Problems seemed to be everywhere. Some issues were serious, like presence sensors dropping off the system and scenes failing to run to completion. The presence sensor instability had a nasty habit of setting the sirens off at 3am, or more accurately, about when the family settled into REM sleep. Other problems were laughable, if for no other reason than to demonstrate a clear lack of quality control by the developers. Misspellings were common in the mobile apps and at times it seemed even Iris’s own devices didn’t like V2 either. Then there was what was dubbed the Iris Dance, the humorously annoying process of roaming around the house pulling batteries from “smart devices” to restore their connection to the hub. The opinions expressed here are our own, and are based on our real-world experiences. V2 was dead, and whether it could ever be salvaged was not clear, nor was it something we would wait for. Locating a system that could match the feature set of Iris, when it actually worked, took less than an hour of Internet research. It also led to the harsh reality is that Iris was nothing special. Virtually every system had most, if not all of the features we needed. The other options also bested Iris right away in one key area; no monthly fees. At a minimum this would mean unlike Iris, we would not have to pay for the privilege of being an unwitting beta tester. But there was more than just pretty packaging and fancy technology, the platform had to be open and developer friendly. In the rapid evolving Internet of Things, it is no longer acceptable invest in a platform where the customer is locked into the ecosystem. After all, we own our devices and our home, why should we not have complete control over how they interact? Lowe’s didn’t stop at walling off the platform, they walled off their staff too! Legacy Iris, or V1, for all of its’ limitations was a decent system. It worked most of the time, albeit slowly, but it was very easy and comfortable to interact with. V1 (and subsequently V2) was built around the “walled garden” approach which Apple has become famous for. The curation of devices and rules to ensure seamless and reliable operation was a hallmark of V1. But first generation Iris also had an API, although not officially supported, which gave the hobbyist developer some additional ways to interact with Iris. But that was legacy Iris, which the world and Lowe’s had left behind. Iris V2 was here and it not only kept the walled garden, it built the walls even taller. With V2 rules were more limited, and Lowe’s did not open any sort of API. In doing so, Lowe’s has effectively hung a sign on Iris stating “Developers NOT Welcome”. Lowe’s didn’t stop at walling off the platform, they walled off their staff too! Excluding technical support, the Iris team appears to work in the shadows They never interact with customers, and we’ve been told their developers aren’t allowed, even to troubleshoot serious bugs. Sure, Lowe’s has a PR rep who lightly monitors the unofficial Iris forum and social media, occasionally communicating with customers. Those interactions are usually nothing more than a request for a private message. There’s no transparency and no accountability, but that’s not surprising for a system built and operated by a large corporation. 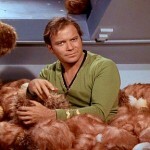 Whatever company stood behind our replacement home automation system would have to do better. The first step in finding a system was to define our needs. We knew what we didn’t want, so we looked at what we did. Key decision points narrowed down to five essential requirements that the next Smart Home platform would meet. It would be open, including an API, and preferably an offical support forum. 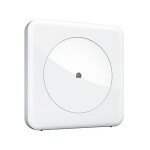 It would support Zigbee, Z-Wave, and WiFi devices. It would support V2 Iris devices such as Motion and Contact sensors as well as Smart Plugs. It would support local processing. It would have a built-in security system supporting cameras, sirens with no 3rd party software required. With these requirements and some research, we focused on three systems that would reasonably fit our needs. Insteon was our initial favorite. The hubless architecture and local processing were very attractive. There were just three finalists from our selection process; SmartThings, Wink, and Insteon. Each one brought its’ strengths and weaknesses. Some met our needs more than others, but in the end only one could win. Insteon was our initial favorite. The hubless architecture and local processing were very attractive. But radio support was lacking. We liked that Insteon has an official discussion forum and is very friendly to developers. But, while browsing their site we found misleading sales literature which soured us right away. On their site they make a bold claim that Zigbee and Z-Wave technologies can only support “dozens” of devices while Insteon can do thousands. The IoT is confusing enough to newcomers as it is, intentionally misleading customers to sell a product is unacceptable so we chose to pass. In some ways, Wink is right now where Iris might soon be. It has reached a point of stability after a rocky start and it offers a decent selection of device support. But development has slowed, the company has gone silent, and new features and bug fixes seldom appear. Despite those flaws we gave Wink fair consideration. While Wink lacks an official discussion forum, they do have an open API and local control. But there was uncertainty. Home Depot, the original retail partner for Wink has discontinued carrying most of the system and the company itself seems to be on shaky ground. Ultimately we chose to pass on Wink because of this. SmartThings isn’t the perfect platform either, but it matched many of our needs. SmartThings not only offers an open API and a discussion forum, they actively encourage and support third party developers. Local processing is limited to devices with native support and rules based on the SmartLighting app. All other functions do require access to the could and therefore are at risk of an Internet or cloud outage. 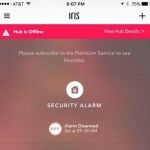 It’s also fair to point out that SmartThings, like Iris has had their share of issues this year including outages and poor cloud performance. It was the companies response to these issues that caught our attention. Not only did the company acknowledge the problems, they owned up to them. The CEO of SmartThings, Alex Hawkinson issued a direct apology to users of their forum and promised action would be taken. The very fact that the CEO participates on their forum and interacts with users impressed us. The decision was made, we would go with SmartThings. The opinions expressed here are our own, and are based on our real-world experiences. 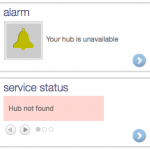 At no point during the selection or migration process did we ask for, nor receive any special assistance, priority support, or free devices from SmartThings. Our system was chosen exclusively on best-of-breed features and company merit. Planning to move a system with nearly 220 devices and over 200 rules was not an easy task. In part 3 we will talk about some of the challenges that we faced during our migration to SmartThings. We will also prove that the grass can in fact be greener too! Pretty impressive to move that much equipment. I have around 55 devices and even for that SmartThings would be an expensive transition. I’m also frustrated about the closed system. 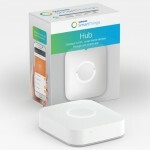 For the moment if my V2 move doesn’t go well I might buy a SmartThings hub and buy a few devices here and there. I am happy to see I am not the only one making the change. Lowe’s Iris Gen 2 had so much potential. I migrated with a little more planning than you about two months ago. I felt let down by the Gen 2 platform for its lack of stability, inability to pair devices, and the change(failure to support) of core features. I don’t regret the change for a minute and have found a new love for open platforms with support for IFTTT, Amazon Echo, and my Sonos. Best of luck with your migration. You won’t regret it. Would love to see part 3 after you’ve had a chance to finish moving to Smartthings.